Our client, age 34, was seen in broad daylight looking into the windows of several homes at mid-day in the area near North High School. He was wearing roller blades and short shorts. He was shirtless. If the sight of a grown man on roller blades, short shorts and shirtless, several miles away from the beach area was not enough to draw attention to himself, his going up to houses and standing near windows certainly did so. It was a sad situation, as the houses were empty because the occupants were at work and our client had been laid off several months earlier after working for many years at a well-known Fortune 500 company. 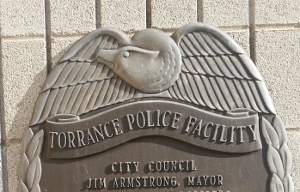 A concerned 911 caller from one house that was occupied called the Torrance Police Department, who responded to the area. The Reader’s Digest Version: Client arrested for being a “Peeping Tom” (Penal Code § 647(i)), case later transferred to mental health court (Department 95), as our client had mental health and drug abuse issues; case eventually resolved for three years of informal probation with only one condition: that he stay away from the house he was found peeping into. Police were summoned to the location and found our client looking into a bedroom window. Police called out to our client to get away from the window and he did so. Police then told him to come over to them. As he was doing so, he realized the gravity of what was happening and, according to the police, began stretching his legs as if preparing to escape on his roller blades. In response, police then ran up to him and tackled him to the ground. Our client allegedly resisted arrest and tried to get away from the two burly police officers, but did not injure either. When asked what he was doing, our client explained that he was trying to spread the good word of God. When asked what his occupation was, he told police that he was a professional athlete. When the curious police heard this, he explained that he someday wanted to be in the Olympics for speed skating (the Olympics are for amateurs only, not professionals). The family of the client called Greg Hill on a weekend and explained where their son was, at the Torrance Police Department, having been arrested. Greg rushed over and met with him, noticing there was something about him that was just not right. The following day, the client was arraigned because the family did not post bail for him. He already had a pending possession of drugs (meth) charge also in the Torrance Courthouse. Greg further spoke with the client about his plans to become a professional speed skater and it became abundantly clear that the client’s mental health was doubtful. Greg thus declared a doubt in court under Penal Code § 1368 and the client agreed with the judge in asking him if he felt he was unable to help in his defense. Proceedings were then suspended and the matter was referred to the Los Angeles County Mental Health Court in Department 95 at the Metropolitan Courthouse. Once in Department 95, the case was heard by a different judge. Greg then sought appointment of a mental health expert to visit with, evaluate and diagnose our client’s mental ability to stand trial. After several weeks, our client was found competent to stand trial by a psychiatrist and the matter returned to the Torrance Courthouse. Greg then plea bargained the case to a disposition wherein the client was credited for time served and placed on thirty-six months of summary probation with the only condition being that he stay away from the block where he was found peering in windows. The client was then released from custody the following day. Sadly, as a post-script, it should be noted that the client was arrested quite soon thereafter for being under the influence of a controlled substance. What Is Resisting Arrest under Penal Code § 148 (a)(1)?